Material handling has become an important part of human production activities, dating back more than 5,000 years of development history. With the expansion of production scale and the improvement of automation, the Gantry cranes, which are the important equipment for material handling, are applied more and more widely in the modern production process, and the requirements of Gantry cranes are getting higher and higher. The Gantry crane is undergoing a great transformation. As the scale of industrial production continues to expand, increasing production efficiency, as well as the production process of materials handling handling costs gradually increased, prompting large or high-speed Gantry crane demand continues to grow. 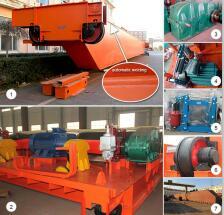 Increasing the weight, work faster and higher, and the energy consumption and reliability of higher requirements. 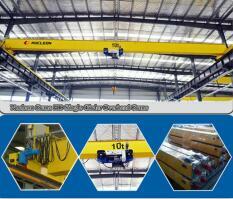 Gantry crane has become an important part of the automated production process. Gantry crane not only easy to operate, easy to maintain, and better security, reliability is high, requiring excellent durability, no fault, maintenance and use of economy. 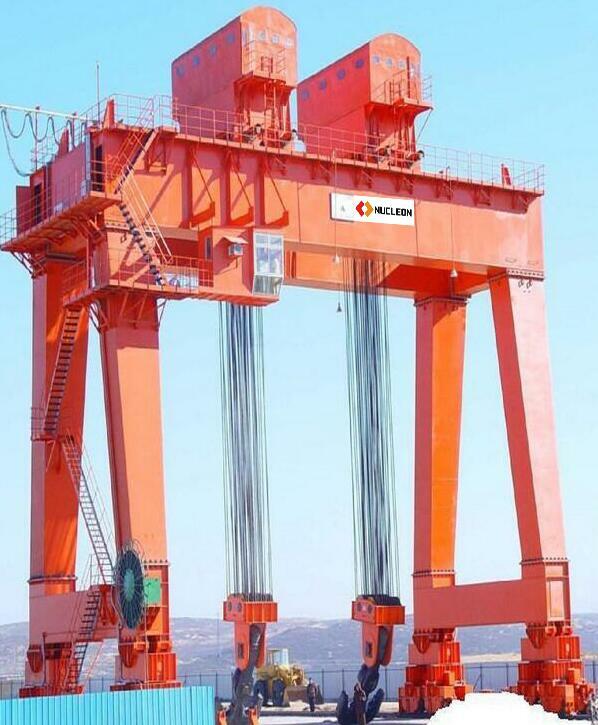 At present, the world’s largest floating Gantry crane lifting capacity of 6,500 t, the largest crawler Gantry crane from the weight of 3,000 t, the largest bridge Gantry crane from the weight of 1,200 t, the maximum handling speed of the container loading dock bridge has reached 350 m / Min, stacking Gantry crane maximum operating speed is 240m / min, garbage handling Gantry cranes lifting speed of 100m / min. 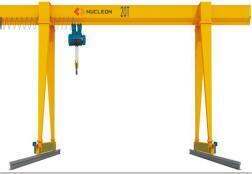 Industrial production methods and the diversity of user needs, so that the Gantry crane market continues to expand, constantly updated varieties to unique features to meet the special needs, play the best effect. Such as metallurgy, nuclear power, paper, waste disposal of special Gantry cranes, explosion-proof, anti-corrosion, insulated Gantry cranes and railways, ships, container Gantry cranes increase the performance, performance, adaptability stronger than ever. Germany Demag developed a special aircraft maintenance and repair of Gantry cranes, in the international market to open the market. This Gantry crane is installed in the housing structure, span, lifting a high degree of cross-over, high precision parking. In the lifting car below the installation of multi-section telescopic catheter, and aircraft maintenance platform is connected, and can be rotated 360 degrees. Through the displacement of carts and trolleys, the lift and rotation of the pipe can make the maintenance platform reach any part of the aircraft, and it is very convenient for the maintenance and repair of the aircraft. Modular design instead of the traditional machine design method, the function of the Gantry crane is basically the same components, parts and parts made for a variety of purposes, with the same connecting elements and interchangeable standard module, through the combination of different modules, The formation of different types and specifications of the Gantry crane. 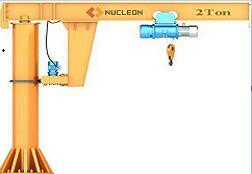 To improve the Gantry crane, just for a few modules. 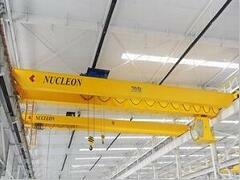 Design a new Gantry crane, just use different modules to re-combination. Can make a single piece of small batch production of the Gantry crane into a considerable batch of module production, to achieve high efficiency of specialized production, enterprise production organization can also be product management into a module management. To improve the overall performance, reduce manufacturing costs and improve the degree of versatility, with fewer specifications of the number of components of multi-species, multi-standard series of products to fully meet user needs. At present, Germany, the United Kingdom, France, the United States and Japan, the famous Gantry crane companies have adopted a modular Gantry crane design, and achieved significant benefits. Germany Demag’s standard Gantry crane series to modular design, than the single-design design costs decreased by 12%, 45% reduction in production costs, the economic benefits are considerable. Germany Demag also developed a KBK flexible modular suspended Gantry crane, Gantry crane steel structure by the combination of cold-rolled rail, Gantry cranes running along the line can be arranged along the production process, there may be fork, turn, over the cross , Variable gauge. All parts can be mass-produced, and then in accordance with the different needs of users and specific material handling routes in a short time with a variety of components with the Serve. 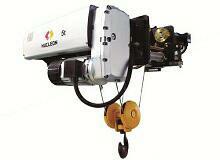 This combination of Gantry crane is very good, easy to operate, can take full advantage of space, low operating costs. There are manual and automatic forms, but also a suspension system, single-beam suspension Gantry crane, dual-beam suspension Gantry crane, cantilever Gantry crane, light Gantry crane and manual stacking Gantry cranes, and even form a large automated material handling system. A considerable number of Gantry cranes in the common occasions, the work is not very heavy. 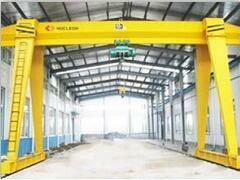 This kind of Gantry crane is large in quantity and widely used. 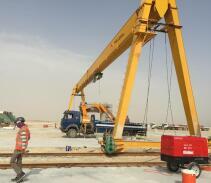 Considering the comprehensive benefit, it is required to reduce the height of the Gantry crane as much as possible, simplify the structure, reduce the dead weight and wheel pressure, and reduce the height of the whole building. Therefore, electric hoist overhead Gantry cranes and beam Gantry cranes will have faster development, and most of the small and medium tonnage to replace the general purpose bridge Gantry cranes. Germany Demag company after decades of development and innovation, has formed a light combination of the standard series of Gantry cranes. Lifting capacity of 1-63 tons, the working level of A1-A7, the entire series from the I-shaped and box-type single beam, hanging box-shaped single beam, angular box-shaped single-beam box and double beam and other varieties composition. The main girder is connected with the end girder and the hoisting trolley is arranged in various types, which can be suitable for different buildings and different lifting height requirements. 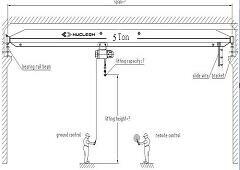 According to user needs each specification Gantry crane has three single-speed and three kinds of two-speed for any choice, you can also use frequency control. There are seven ways to operate: the flashlight is moved by hand, the flashlight is fixed with the car, the flashlight is fixed, the remote control is fixed, the cab is moving with the car, and the cab is moving by itself. Cart and car power supply cable car conductive, DVS system in two ways. So many options, through different combinations, can be combined with hundreds of thousands of Gantry cranes, fully meet the different needs of users. Another advantage of this Gantry crane is light, light weight, light wheel pressure, small size, can greatly reduce the construction cost of plant buildings, but also can reduce the Gantry crane’s operating power and operating costs. Compared with general products, the lifting capacity of 10t, span 22.5m, universal double-beam bridge Gantry crane weight is 24t, Gantry crane height above 1876mm, Gantry crane width 5980mm; Demag Gantry crane weighs only 8.7t, light weight 176 %, Gantry crane height above the rail surface of 920mm, reduced by 104%, Gantry cranes width of 2980mm, reduced the size of 100%.